Lesley STEAM collaborated with Luke Kirkland, communications librarian at the Cambridge Public Library, and Rahul Bhargava, researcher at the MIT Center for Civic Media, to run a free clock hacking workshop in honor to honor the Texas teen arrested for bringing what police called a “hoax bomb” to school. View full article. Kinderlab Robotics highlights the KIBO robot at K-Lo. 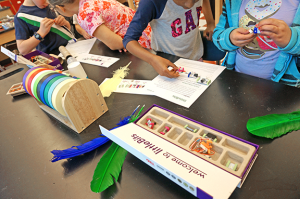 View article at: http://kinderlabrobotics.com/blog/view-from-the-classroom-kennedy-longfellow-elementary-school. 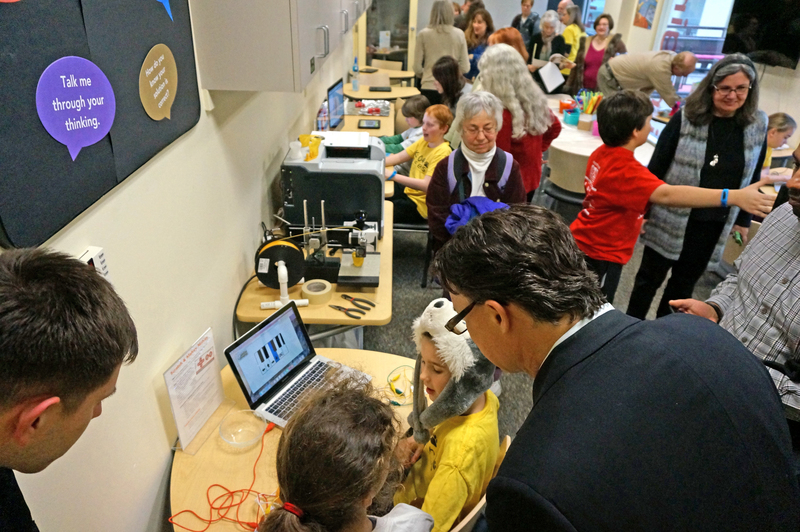 The WBUR Learning Lab‘s Peter Balono-Rosen covers the K-Lo Hour of Code week. View article at: http://learninglab.wbur.org/2014/12/15/looking-to-the-future-cambridge-partnership-teaches-kindergartners-to-code/. 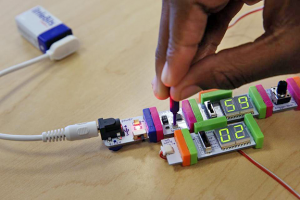 littleBits annouces the Scratch 2.0 extension, created by Lesley’s own Kreg Hanning. View article at: http://goo.gl/VLB2bS.